The awards committee, comprised of respected leaders from Mayo Clinic–Florida, Johns Hopkins University School of Nursing and the University of Missouri, received more than 200 nominations, selected 57 finalists and chose winners in 19 categories. St. Louis Magazine revealed the winners at a gala reception April 19 at the Four Seasons Hotel St. Louis. 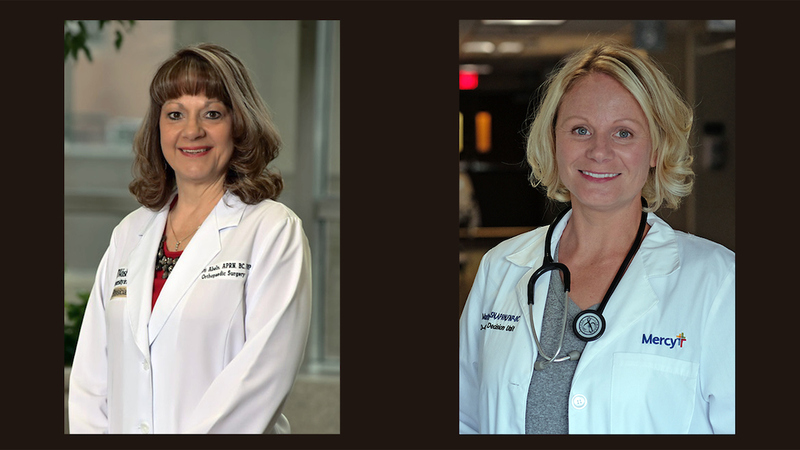 UMSL Daily caught up with Abeln and Mathews to discuss their nursing careers and what drives their excellence. “As I grew, I just knew I wanted to take care of people,” said Abeln, who has been a nurse more than 15 years now for Washington University Orthopedics at St. Louis Children’s Hospital. Her dedication to the nursing profession and her patients earned her an Excellence in Nursing Award in the orthopedics category.